Our beef liver treats for dogs are locally sourced and manufactured in the heart of the Midwest under our own roof, to use with confidence under yours. 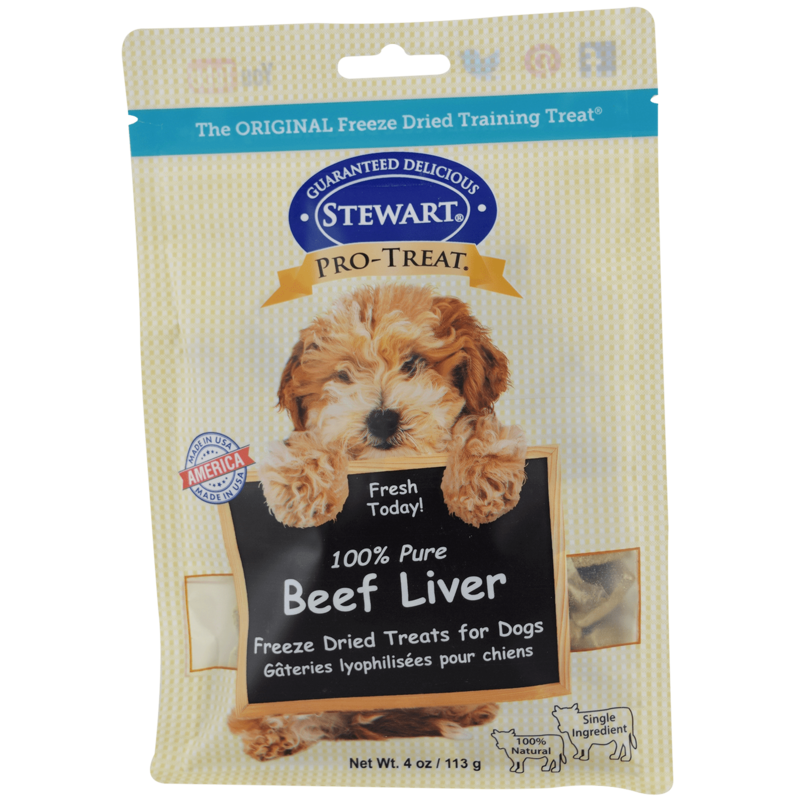 Dogs go crazy for these beef liver treats. 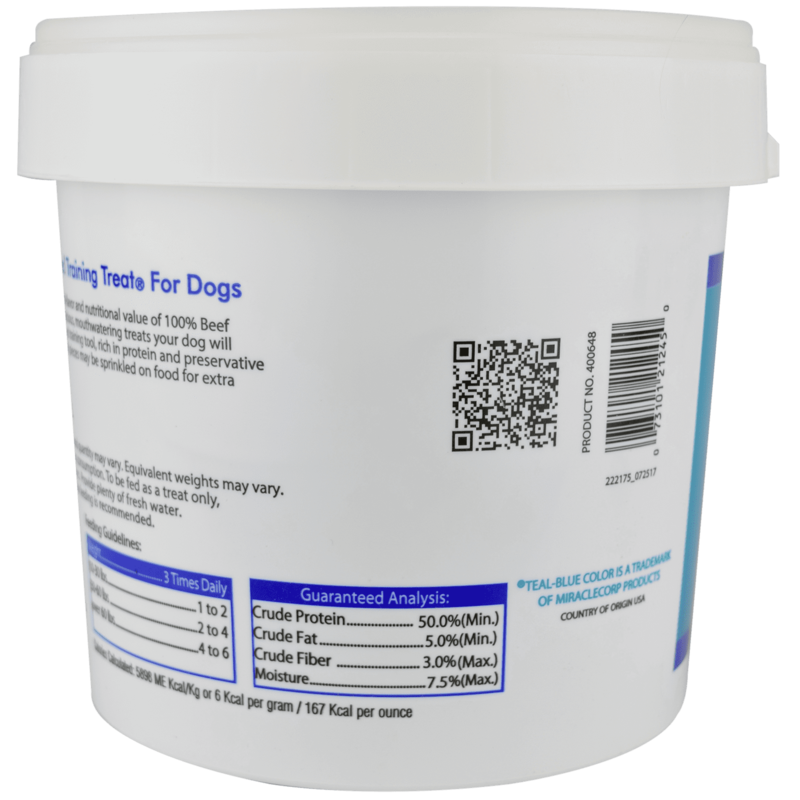 And you can feel confident that you are giving them pure nutrition. 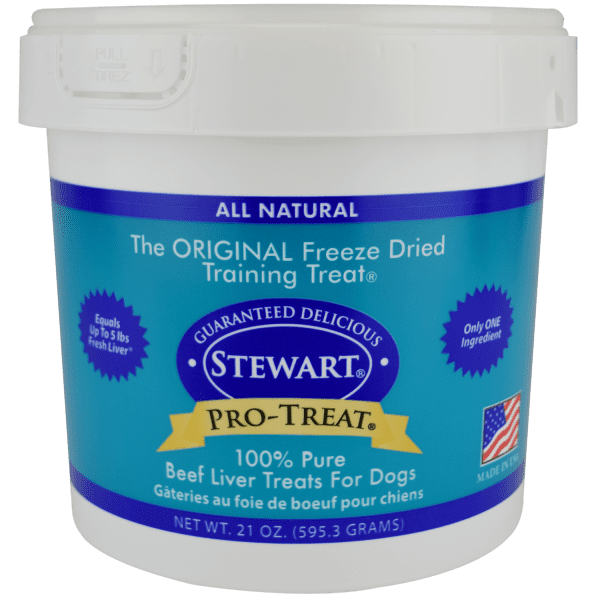 Stewart Pro-Treat beef liver treats for dogs are an all-natural healthy dog treat that contains only USDA Grade A beef liver. That means they are gluten free, grain free, additive free and packed full of lean protein and nutrition. 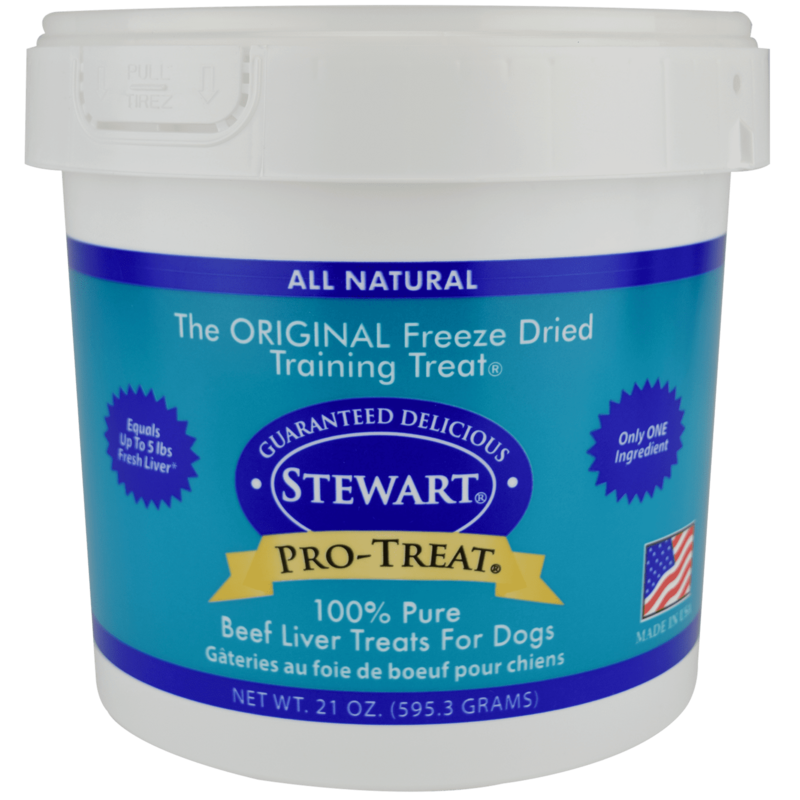 Pet owners give Stewart “a round of appaws” for providing their best friends with balanced and delicious nutrition. Unleash nutrition and joy. 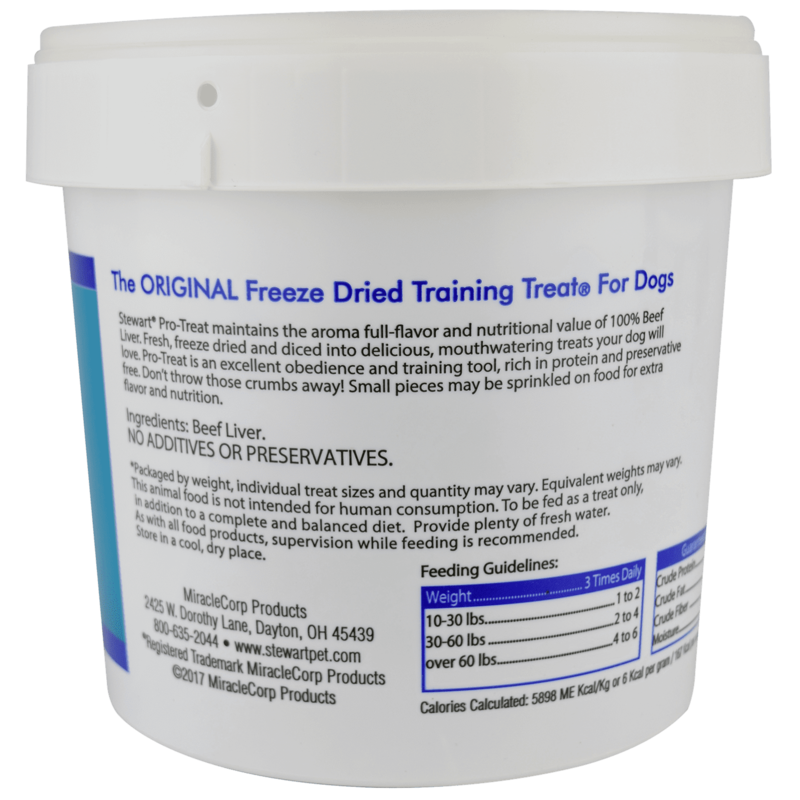 Our beef liver treats for dogs are the original freeze dried treat. 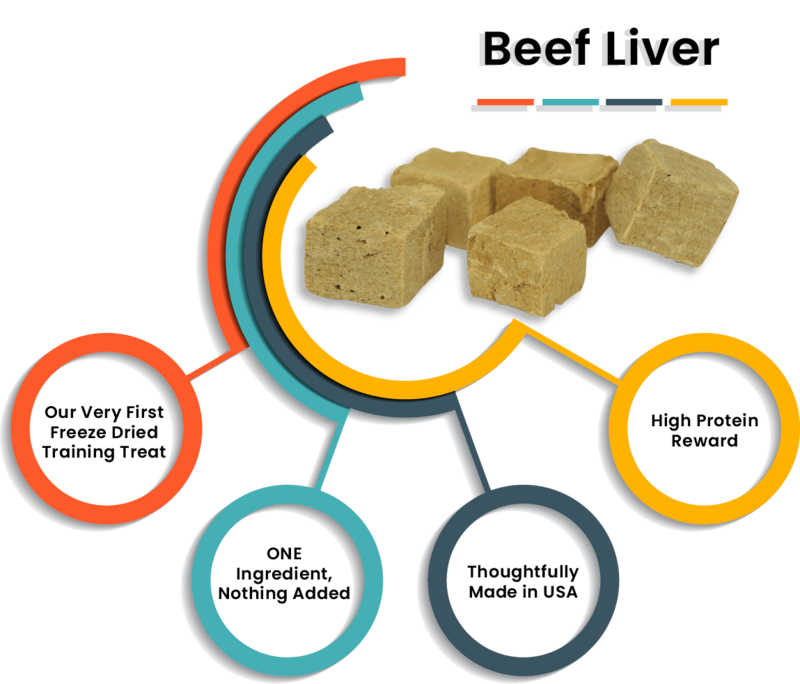 Beef liver provides the nutritionally dense organ mean that’s packed full of energy and vitality. 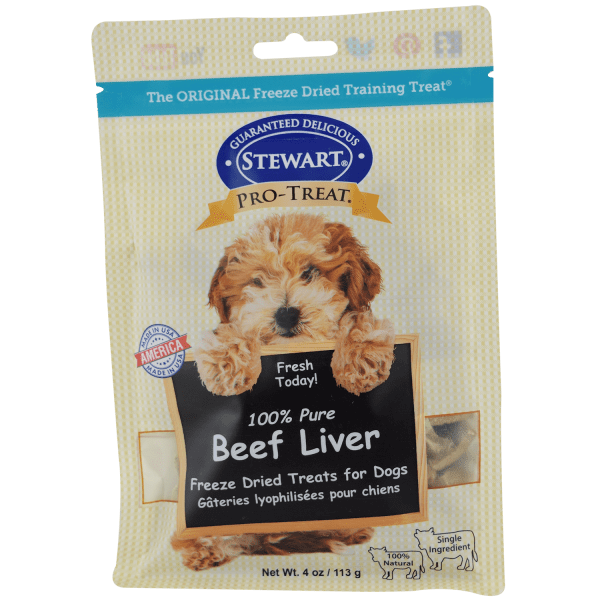 Beef Liver treats for dogs are a good source of lean protein, vitamin A, and other vitamins and minerals. 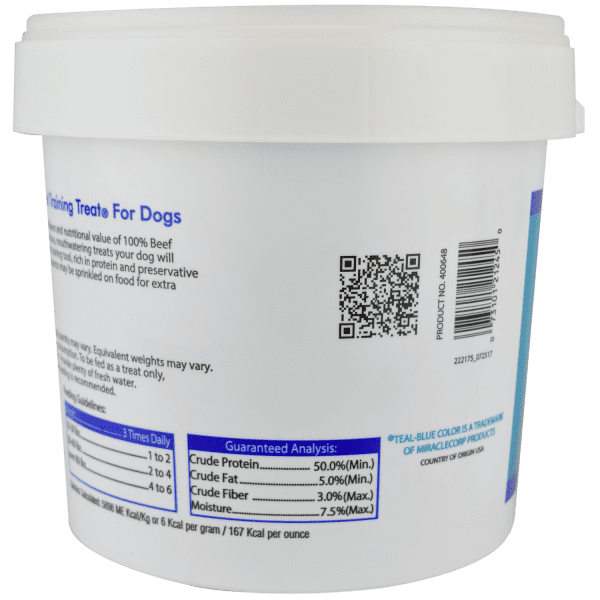 As pet parents too, we know that peace of mind is important. 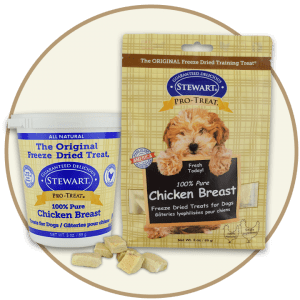 Rest assured that our quality standards with USDA-certified ingredients ensure that you’re feeding safe dog treats to your fur family.